Aroostook County, Maine’s largest and northernmost county, offers over 2,000 lakes, rivers and streams in a region abundant with forests and farmland. Recreational activities are endless and include hiking, biking, canoeing, kayaking, and fishing during the spring, summer, and fall seasons to cross country skiing and snowmobiling during the winter months. Numerous cultural and sporting events draw visitors to the region throughout the year. Maine Event highlights include the Acadian, Midsommer, and Maine Potato Blossom Festivals during the summer season to winter events such as the International Snowmobilers Festival, Can-Am Dog Sled Races, and Moose Stompers Weekend. To see a map of Aroostook County and all towns in the county, click here. Other towns of interest include: Allagash, Ashland, Crystal, Eagle Lake, Easton, Frenchville, Island Falls, Lille, Linneus, Littleton, Mars Hill, New Sweden, North Amity, Oakfield, Portage, St. Agatha, St. Francis, Stockholm, Wade, Westfield and Woodland. *Population figures are based on 2010 Maine census estimates. Caribou, Maine: January: 19.4 to -1.6, April: 46.7 to 29, July: 76.5 to 54.5, October: 52 to 34. 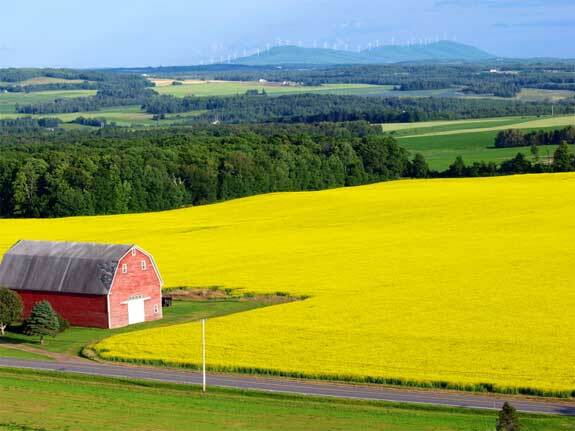 Nicknamed “The County”…Aroostook is as large as Connecticut and Rhode Island combined and boasts vast woodlands and fields, with over 2,000 lakes, rivers and streams. The famous Allagash Wilderness Waterway begins in the very northern part of the county. Aroostook is bordered by Canada to the west, east, and to the north along the St. John, the longest free-flowing river in the Northeast. Biking, Hiking (Thousand Acre Bog in Crystal, Spruce Acres Refuge in North Amity, Dickwood Lake Wildlife Management Area), Canoeing and Kayaking (Allagash Wilderness Waterway), Fishing for Salmon and Trout (Fish River Chain of Lakes), Downhill & Cross Country Skiing, and Snowmobiling.